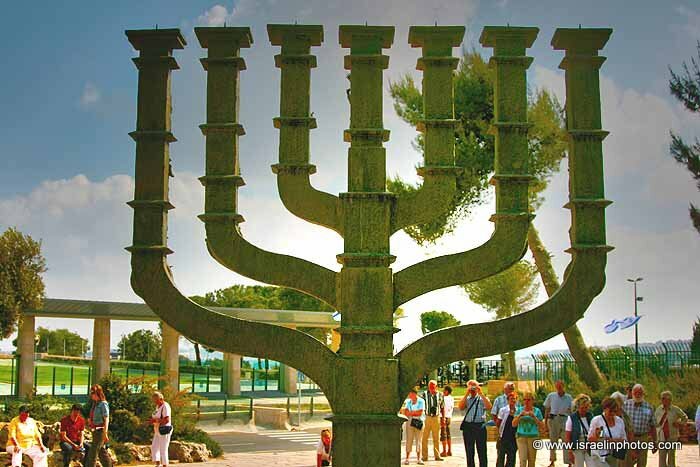 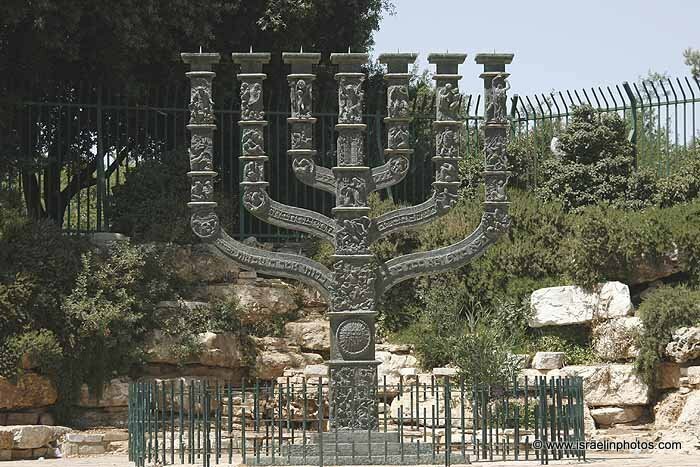 The Knesset Menorah (Menorat HaKnesset). 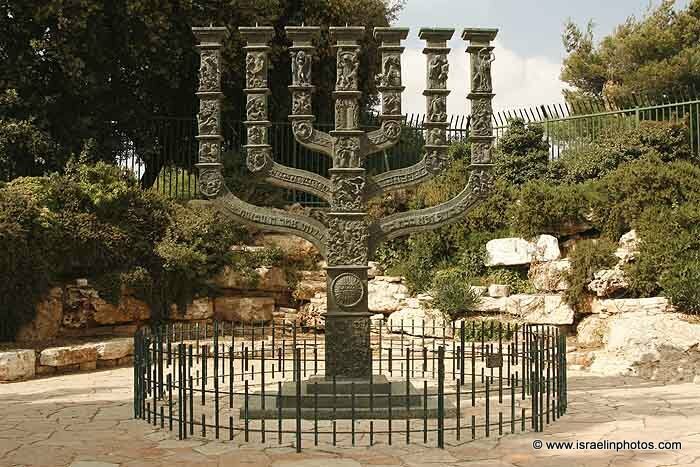 Located at Gan Havradim (Rose Garden) in front of the Knesset (The Israeli parliament). 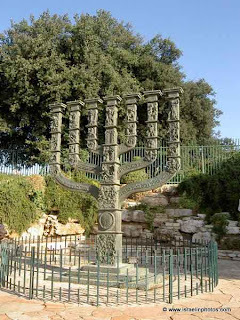 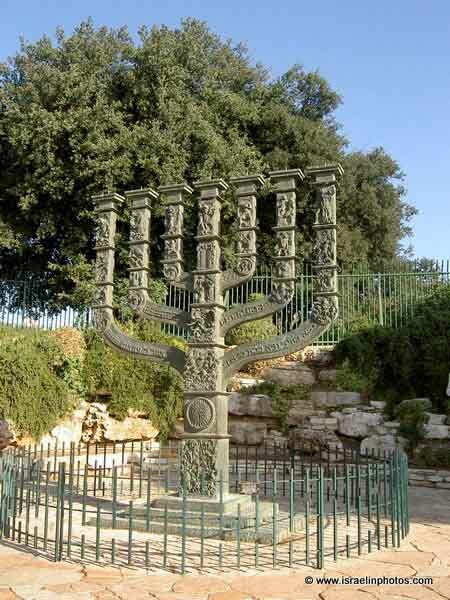 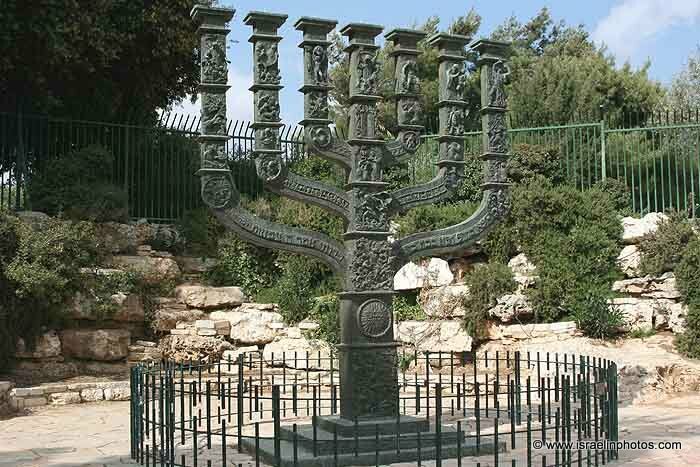 The Menorah is the work of Beno Belkan, a British sculptor. 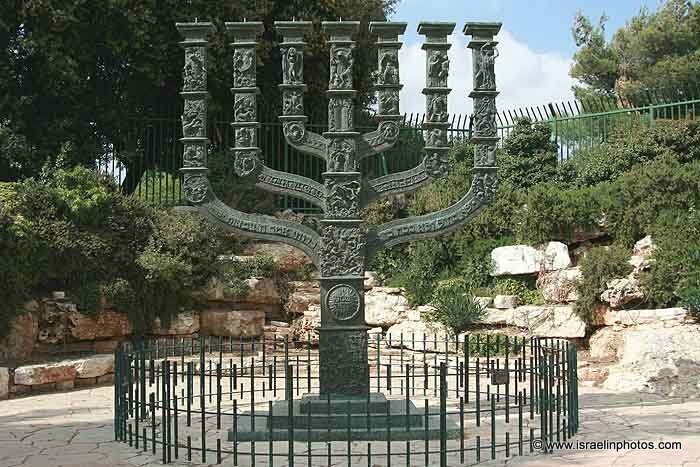 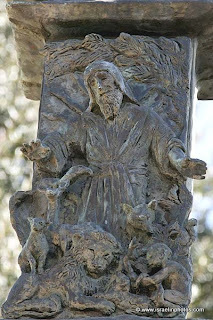 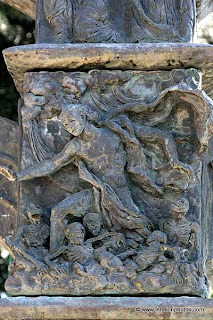 It is made of bronze and 5 meters high and 4 meters wide. 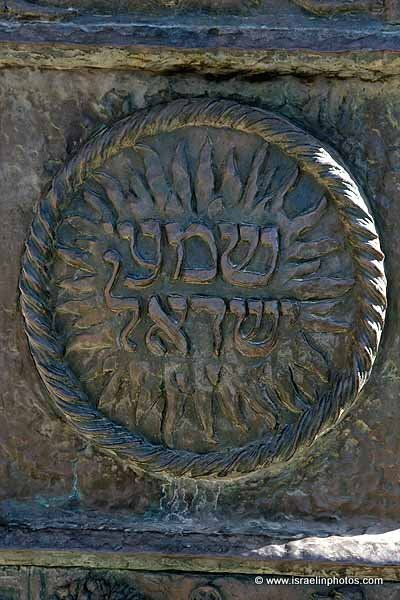 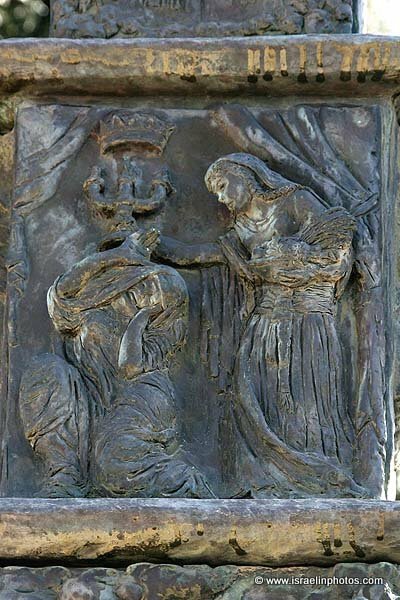 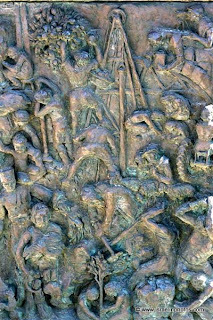 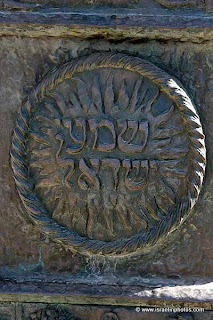 On each of the seven branches is a relief depicting events and personages from the history of the Jewish people and culture. 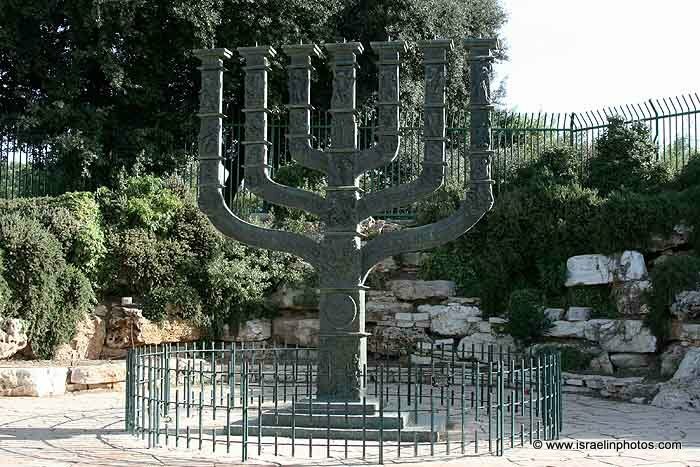 It was given to the State of Israel by the British Labour Party as a token of goodwill and friendship.